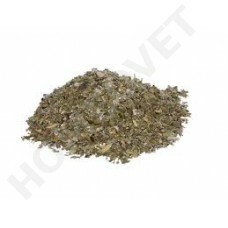 Easy Digest by Homeovet Animal Care is a unique product and was specially developed for horses and ponies suffering from intestinal and digestive problems. Digestive problems in horses can result in colic-like symptoms. Easy Digest is a special herbal mixture that promotes the digestion of food in a natural way. Easy Digest has been successfully tested in horses with symptoms as described above at the HomeoVet test center. Always notify the veterinarian with equine colic. Easy digest can be used at any time in combination with other remedies. Horses 6 scoops per day, increase the dosage in case of problems on 2 times a day. Dandelion leaf, willow bark, fennel seed, aniseed, sweet clover, menthea, Hagen Butte zrkeleinert, Herbasan, goldenrod. Easy digest was zusammengesezt of Veterinair Homöopatin woman. K.M. Schoon.